The dust has settled and so have we…into our new location on the corner of Sheridan and St. Marie that is. All the shelves to hold glass for sale are built and our work tables are set up. 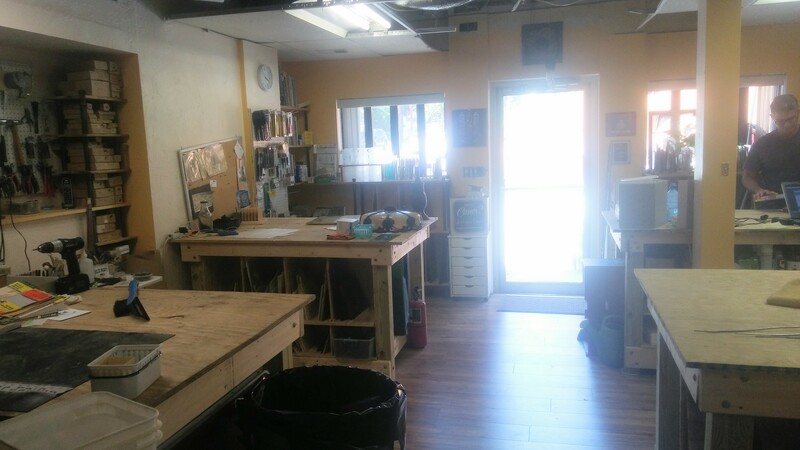 It’s been a long transition but we look forward to being able to focus more on the glass part of having a stained glass studio. We’ve got a big long list of people interested in stained glass classes and will be setting up prices and schedules for this fall. If you’re interested in taking classes, let us know through our contact page.